As soon as we pulled onto the still snow-covered dirt road as instructed, I immediately saw and heard the Purple Martins, and there were quite a few of them. I quickly located the nesting trees. Amazing! Well, my skills as a photographer in overcast and low light conditions were worthless the natural light on the day I visited was so terrible that my photos were worthless. So, I asked one of Utah's finest and most prolific bird photographers Paul Higgins if I could share his photos. Paul had taken all of the photos displayed in today's post from the exact same location which I visited. To check out more amazing bird photography from Utah's Paul Higgins, please visit his online gallery. 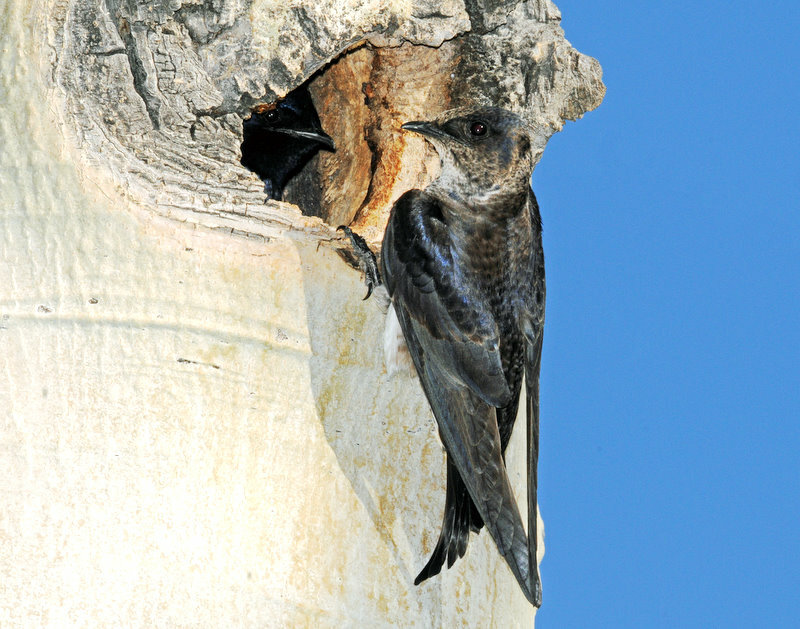 While very common in the east, Purple Martins are fairly uncommon in the intermountain west. This trip also netted me another life bird, several sightings of the Williamson's Sapsucker! Wahoo!!! I also observed a Lewis's Woodpecker and a Western Bluebird, which are both uncommon in Cache County. nice post - the pics do not seem to be working for me tho. @forestal - Thx for the heads up about the photos not working. I had originally tied them directly from their source on pbase, but I guess pbase doesn't let you do that. The pics are beautiful! But how good to see these Martins nesting in trees even without getting your own photos of them. 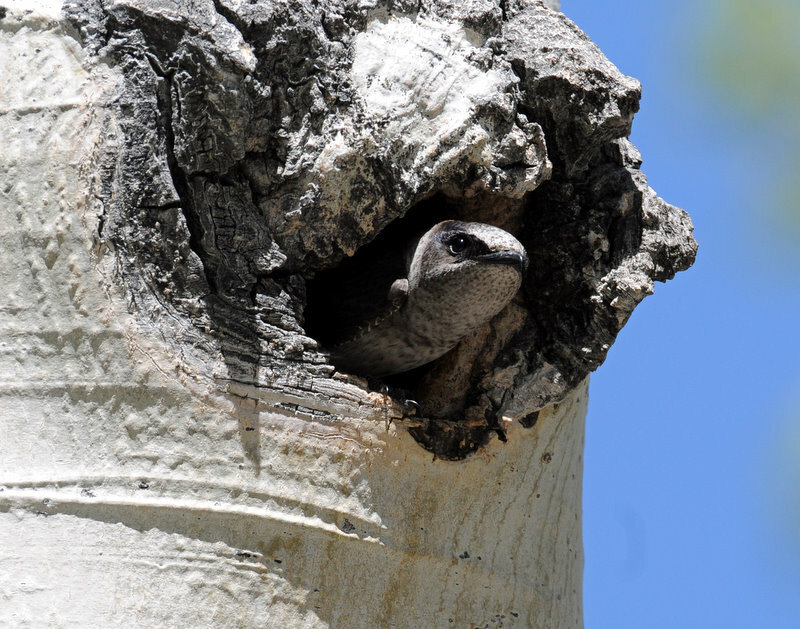 Nest boxes are not common where I live so I am always intrigued with photos of birds nesting in them. I guess birds have to have somewhere to nest and if we take down all the trees what else do they have left? Awesome to see them in the Tree! Great shots of the largest North American Swallow Robert. Paul got excellent lighting for these shots. I'm sure you could have done just as well on a good day. 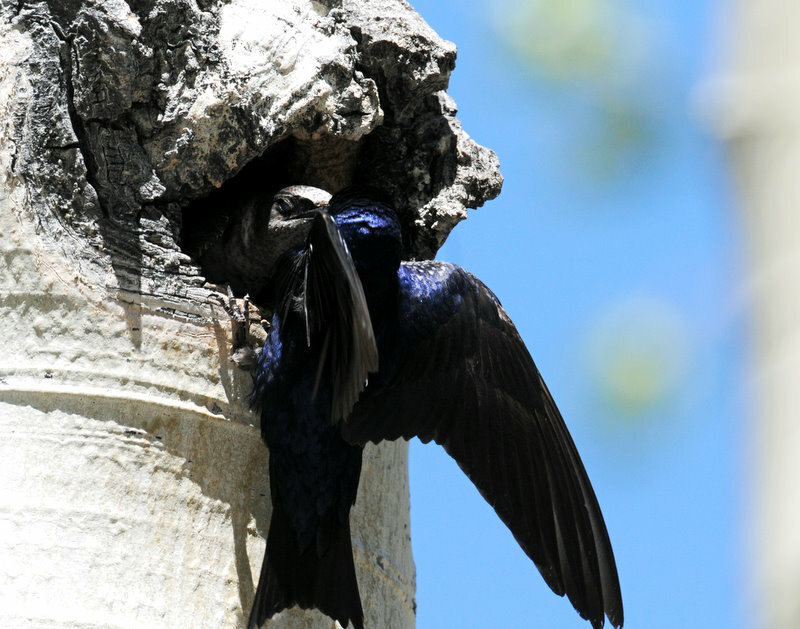 I have seen Purple Martins nesting in trees in Northern California on Lake Britton and have a friend that will take me to a spot on Shasta Lake next spring to see them nesting close up. If I can get photos half as good as these, I will jump for joy (once I get out of the boat). Congrats for you! I saw my very first purple martin up on Monte Cristo a few years ago when I went on a birding trip with bill Fenimore from the Wildbird Center in Layton! Since then I have seen them in AZ and most recently in upstate New York, though I do not have any pictures of those. Though I looked for Lewis's woodpecker in that area, I never saw one, but did see one down in Reid Park in Tucson! However, my friend Kathryn has had them in her yard in Mountain Green, Utah! I got my first Williamson's sapsucker in the foothills near Rocky Mountain National Park in Colorado. I am so happy for you! I went to Michigan recently (north part of the Lower Pennisula) and there were quite a few nest boxes in yards. I asked about Purple Martins on one of the birding trips and the guide said they have disappeared over the last few years. She said that no ones knows why (maybe people aren't cleaning them out). But she said it's very concerning. Maybe they are moving west? :) Glad to see they are here. I saw tons of them when I was in New Orleans, a great bird! Gorgeous bird and fatastic post Phil! I'll go in bed not as stupid as yesterday as I learned a lot in your post! Awesome! Not a bird I see very often. I love the sheen on the feathers that you captured in that first shot. @Larry - Paul Higgins has some amazing bird photography. I'm glad he's here in Utah! @Kathie - Two life birds in one short trip...lucky me! Monte Cristo is a cool area with loads of birding potential. I hope to spend more time there. 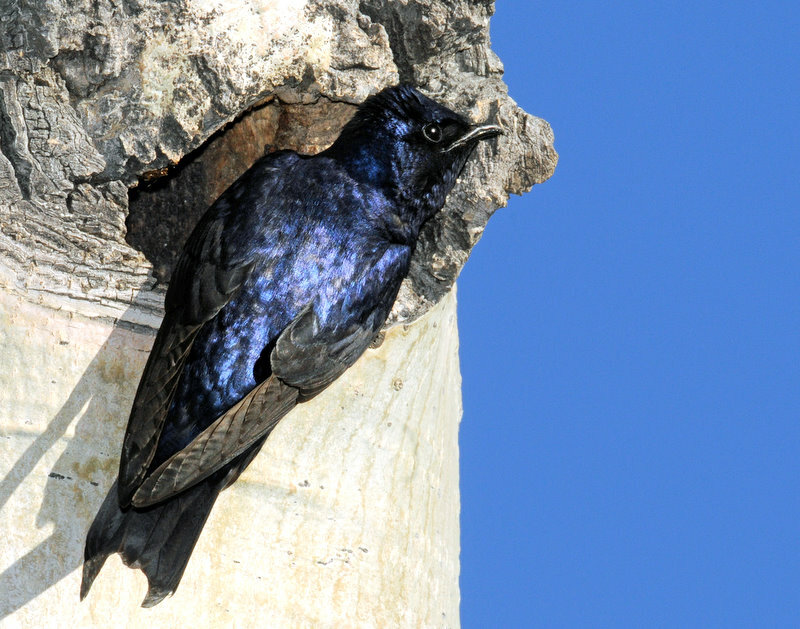 @Susan - Kinda scary if the Purple Martins are doing well in nest boxes ...yikes! @Kim - Welcome to Birding is Fun! Thx for taking the time to comment.